Kuala Lumpur, April 2013 – One of HOM’s main goals is to increase the level of exchange between Southeast Asian artists. It does so through its exhibition and fringe activities, but the art space also boasts a unique residency programme that enables Southeast Asian artists to meet and collaborate for a total of three months. 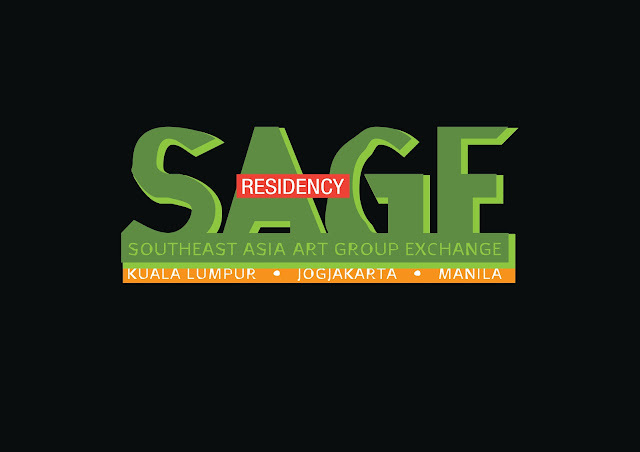 Titled SAGE Residency or SAGER for short, this regional residency programme is co-organized with SAGEJOGJA (Indonesia) and Project Space Pilipinas (Philippines). The three-month residency began in 2011, and its inaugural batch of artists spent 30 days each in Kuala Lumpur, Jogjakarta, and Manila. During this time, the artists took part in studio and gallery visits, and were also introduced to significant art collectors and individuals in the three art communities. This year’s SAGER has just begun, and its participating artists are Didik Wahyu Setiawan , Wisnuaji Putu (Indonesia), Guenivere Toledanes Decena , Mervin Fabro Pimentel (Philippines) and Seah Zelin, Yeoh Choo Kuan (Malaysia). The six artists will remain in Kuala Lumpur until April 30, and the results of their time in HOM’s studios will be shown in an exhibition from April 27 – May 11, which is open to members of the public. For more details about SAGER and the gallery’s other residency programmes, visit homarttrans.blogspot.com. Founded in 2007, HOM is an independent art space comprising a gallery and studio facilities in Ampang, Kuala Lumpur. Beginning 2013, it received its new name (HOM Art Trans) after the revamping of several policies in its administration. The space seeks to provide a venue for events conducive to the development of local and regional art, and one of HOM’s core objectives is to promote and nurture artists through its key programs. These include MATAHATI Art Fund and MATAHATI Art Award, as well as its annual ARTriangle exhibition, which showcases works by artists from Malaysia, Singapore, Indonesia, and the Philippines. • HOM A-RES (HOM Adopted Residency) is a local residency program for young and emerging Malaysian visual artist. The 4 months programme is intended to manage, to develop and to promote the artist-in-residence to the local and international art scene. It will also aim to scout for potential talent for them to become HOM’s exclusive artist. • SAGER (SAGE Residency) is a regional residency programme co-organized by SAGEJOGJA (Indonesia) and Project Space Pilipinas (Philippines). SAGER takes in artists with at least five years of experience and the Southeast Asian group exchange enables its participating artists to foster and strengthen regional ties, as well as to network and establish a better understanding of their neighbours.The residency entails 30-days each in Kuala Lumpur, Jogjakarta, and Manila. • HOMINTERES (HOM International Residency) is a residency program that aims to promote the exchange of arts and culture between international visual artists, curators and art writers with the Malaysian art community. It is a platform for international participants to learn about the local visual arts industry through establishing networks and collaborative projects.